For many in Taraba, the Rescue Mission of Arc. Darius Ishaku has restored hope and raised the bar of expectations of better things to come if re-elected for a second term. Mrs. Lamin Isa who resides in Nyabunkaka area of Jalingo and makes her living through sales of cucumber told our reporter that the people of Taraba did not make a mistake of electing Governor Ishaku into office in 2015. Lamin who was full of smiles while speaking with our reporter said the Governor’s achievements had surpassed many across the country. 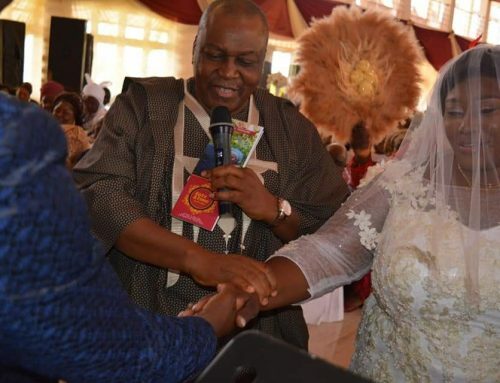 She enumerated prompt payment of workers’ salaries, rural and urban roads construction, provision of water, youth empowerment among others as the key areas the Governor has changed well on the lives of Taraba people in the past three and a half years. “Before I used to sell provision, but since I ventured into the business of selling cucumber, my profit has doubled what I used to earn. “I still maintain my provision store close to Aungwan Fulani where I also sell cucumber, green pepper and Irish potatoes, but as you can see I am hawking cucumber and what I make in a day is far more than what I used to sell in the shop,” she said. For Abubakar Mahmud, the 7.6 kilometre road network recently commissioned by the Governor Ishaku led administration in Magami was one of the best things that happened in his life. Mahmoud said driving on the Magami roads before Governor Ishaku’s Rescue searchlight was beamed on the area used to be a nightmare because of the deplorable condition of the roads in the area. For Rhoda Yakubu, a mother of four, there can never be a better rescue than the construction of Magami roads, the liberation of the people of Ngada, the construction of the Agro Green House and opening up of rural areas through road construction. This she considers a positive development. 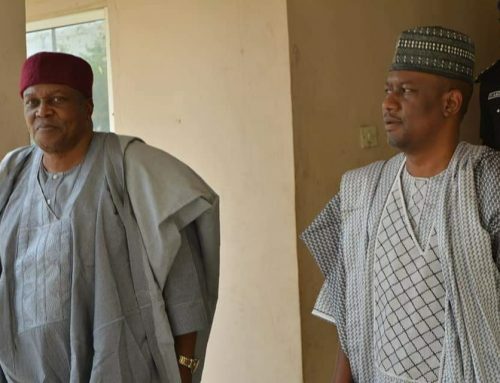 For Mr. Dila Thomas, a local government staff who was shocked that so many names on the payroll of his local government were ghost workers, “Ishaku is a God sent to Taraba.” He commended Governor Darius Ishaku for having the brave mind to embark on the exercise. The expressions by Mahmoud , Rhoda and Dila represents the general feelings of the people of the state on the administration of Governor Darius Ishaku. 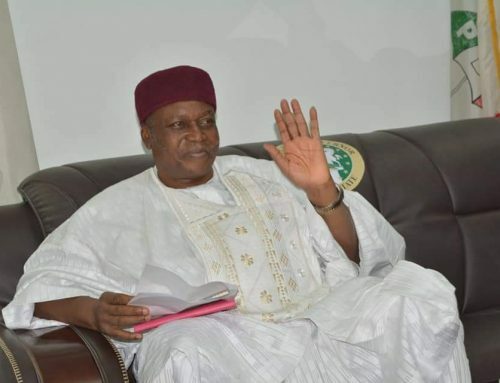 When he took the mantle of leadership, in a keenly contested election in 2015, Governor Darius Ishaku promised that he would rescue every sector of the state. Since then, he has embarked on people oriented projects to better the lives of Tarabans who overwhelmingly voted him into power. Top on the Governor’s mind when he assumed office was the restoration of peace, provision of water, youth and women empowerment, education, health and Agriculture among others. Worried that, water a God given commodity could be so scarce in the State, Governor Ishaku sank boreholes in more than five communities even before he was elected governor. To further consolidate on this gains in the water sector, Governor Ishaku in collaboration with the African Development Bank, AFDB, has completed the first phase of the water project in the state capital which is expected to supply 47,273m3 of water per day by 2035. The first phase of the project was commissioned in 2017 alongside the N2billion Taraba Agro Green House project and the 6.75 dualised Jalingo Kona road by the Vice President, Prof. Yemi Osinbajo during his official visit to the state. Between 2016 and 2017 the Governor sank 100 boreholes across communities in the state and more communities are to benefit from the 150 boreholes project under the Rescue Watch Initiative, all in a bid to provide more communities with potable water. “Many of the diseases affecting our people are as a result of constant intake of bad water and we are determined to change that through provision of potable water for our rural and urban dwellers,” Governor Ishaku stated this at the inspection of water projects in Jalingo during his first year anniversary. In a bid to check youth restiveness and empower women in the state, the governor in June 2015 signed a memorandum of understanding with the Bank of Industries, BoI, where both parties committed N700 million for disbursement to micro, small and medium scale entrepreneurs targeted at creating at least 10,000 jobs in the state, especially among youth and women. The Governor’s Skill Acquisition Training Programme has so far trained over 1,400 youths and women in various skills, making many of them employers of labour in various like soap making, carpentry and woodwork, welding and fabrication, cloth weaving and dying, tailoring among others. Economic experts including the Managing Director of Bank of Industries Mr. Rasheed Ola Oluwa have commended the governor for the initiative saying that the Micro, Small and Medium Scale Enterprises MSME’s accounted for half of Nigeria’s labour force, contributing over 50 percent of the county’s Gross Domestic Product, GDP, and urged the beneficiaries to take the scheme very seriously to grow the country’s economy. Concurrently, the office of the First Lady through her pet project, Hope Afresh Foundation Taraba, has also done a lot in women and youth empowerment, with the support of the governor. In the area of road infrastructure, the Governor has consolidated on the projects of his predecessor, late Danbaba Suntai. Today, despite the lean resources and dwindling Federal allocation coming into the state, Ishaku is not only up to date in the payment of workers’ salaries, he has continued the funding of the road projects he inherited and has embarked on new ones to open up the rural areas of the state. For instance, the Jalingo-Kona-Lau road which was awarded by the Federal Government eight months before Ishaku assumed power was still begging for attention. But on assumption of office, the Governor took over the construction of the road because of its importance to the people of the state. The 6.5 kilometre single lane road awarded without drainage construction has now been taken over by the State Government. The contract was reviewed and expanded to a dual carriageway with super drainage system considering the large volume of water and vehicular traffic that flow on the road. Jalingo Township has been completed and commissioned. Today, the Jolly Nyame way in Jalingo wears a new look, the neglected Magami road network has also been completed. Contract has also been awarded for the construction of 4.9 kilometre TSBS- Aungwan- Kassa- NNPC Mega Station road still in Jalingo the State capital. Another 6.5km Takum-Katsina-Ala road, a Federal road has also been commissioned. Wukari Tsokundi road construction is ongoing, same as Mararaban Pantisawa-Lacheke road connecting the Yorro local government headquarters. Work on the section B of the Takum Peva-Chanchanji- Wukari road is also receiving attention. Health, education and the judiciary also enjoy the attention of the governor. The Taraba State Specialist Hospital benefited from the governor’s rescue mission as funds were approved to maintain the facilities at the hospital. During the outbreak of Lassa Fever in the state, the Governor released funds which helped in containing the spread of the virus. The Governor has accorded the health sector the needed attention it deserves, bearing in mind that a healthy society is a productive society. Today, Wukari General Hospital has been remodeled and commissioned, while work is progressing steadily at the Bambur General Hospital in Karim Lamido Local Government and Gembu General Hospital in Sardauna LGA. The State Commissioner for Health, Dr. Innocent Vakkai said the two projects would soon be completed and commissioned to enable people of the zones access quality medical care without necessarily traveling down to Jalingo with all the risks involved with traveling especially with patients. The Judicial staff who were on strike before the Governor came into office are now back and smiling to banks, even as the he also procured new vehicles for senior judicial workers. In the educational sector, the State Government has embarked on training and retraining of teachers in public schools leading to improvement in the result of the state in external examinations. In 2017, Taraba came first in the North and 8th in Nigeria among states with good results in WAEC. This is even as the state government has continued with the funding of the State University to make it one of the best in Nigeria. In 2017, the Governor recruited 3000 teachers, procured and distributed instructional materials to schools in the state to boost teaching and learning. To unlock the keys of investment opportunities in Taraba and woo investors and tourists to the state, Ishaku opened up commercial flight at the Jalingo Airport, the first of its kind since the creation of the state in 1991. The Airport project which was conceived in 2005 by former Governor Jolly Nyame’s administration did not commence commercial flight until Ishaku came on board in May, 2015. On December 7, 2015, six months into his administration the Governor in partnership with Overland Airways commenced commercial flight operations at the airport. With Overland Airways now operating on Mondays, Wednesdays and Fridays every week, conveying passengers to and from Abuja and Lagos, Taraba has now been launch into the new world. Ishaku’s Chief Press Secretary, Hassan Mijinyawa believes that with the Jalingo Airport now functional, investors and some of the Governor’s friends outside the country would soon begin massive investment in the state, jumping in and out easily using the airport. “Taraba state has a lot of Tourism potentials” and the government was working towards developing a Tourism master plan that would put the state on the global tourism map for the good of the state and the country. The rescue mission Ship has also berthed on the shores of the state’s media outfits with an appreciable level of intervention. On assumption of office, the Governor awarded a N1.7 billion contract for effective switch over from analogue to digital broadcasting of the Taraba Television, TTV, and Taraba State Broadcasting Service, TSBS. This the Governor said is to make sure that the state broadcast media outfits are not left in the planned digital switch over. Already, procurement and installation of digital equipment has commenced and work on the TSBS transmitting station along Mile Six is in progress. A new studio for the state television has been completed and the station is now fully digitalised. With this Taraba is poised to be the next state after Plateau to switch over to digital broadcasting in the country. The beverage industry has also received a boost. Today, the story of Kakara Tea has changed, courtesy of the rescue mission of the Governor. Ishaku pushed for the completion and commissioning of Tonga Dam Small Hydro Electric Power Plant which now supplies power 24 hours to the factory. The Governor also procured and commissioned new machines at the tea factory to maximise productivity. The Taraba Oil mills company in Baissa, Kurmi LGA and the Vival feed mills in Zing LGA have been revived and are now operating optimally. In all the success story of the Ishaku led administration, analysts have continued to point in the direction of security as the administration’s trump card. The Governor who came on board when the entire central and southern parts of the state were under siege of armed herdsmen. But he worked to make sure that all displaced persons returned to their homes. However security remains the challenge of the administration. Despite the Governor’s persistent call on the people of the state; “give me peace and I will give you development,” attacks and killings have continue unabated in some parts of the state. As part of efforts to check incessant clashes between herdsmen and farmers in the state, the Governor sent an Executive Bill to the State House of Assembly prohibiting open grazing which was considered and signed into law. The people’s Governor who always listens to his people has opted for gradual implementation of the law to carry all along. The Governor has also upgraded and created new Chiefdoms which will go a long way in addressing some of the security concerns in the state. This will no doubt help in curtailing cases of influx of strange people into communities in the state and help in checking threats of insecurity. Though killings in the State have taken a different dimension similar to Boko Haram style, the Governor has not relented in ensuring that there is peace in the state. His famous call to to the people of the state, “give me peace and I will you development” is legendary. Indeed, the Rescue Mission has restored hope in Taraba in the past three years. 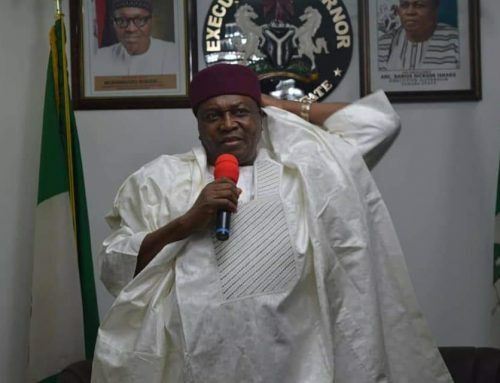 As the people of Taraba prepare for another round of votes in 2019, these achievements of the Darius administration will play a role in his favor and the people of Taraba can hope for better days ahead in Governor Darius Ishaku’s second term in office.